New York: The United States and Russia traded accusations, mainly over the conflict in Ukraine, at the UN Security Council on February 23. 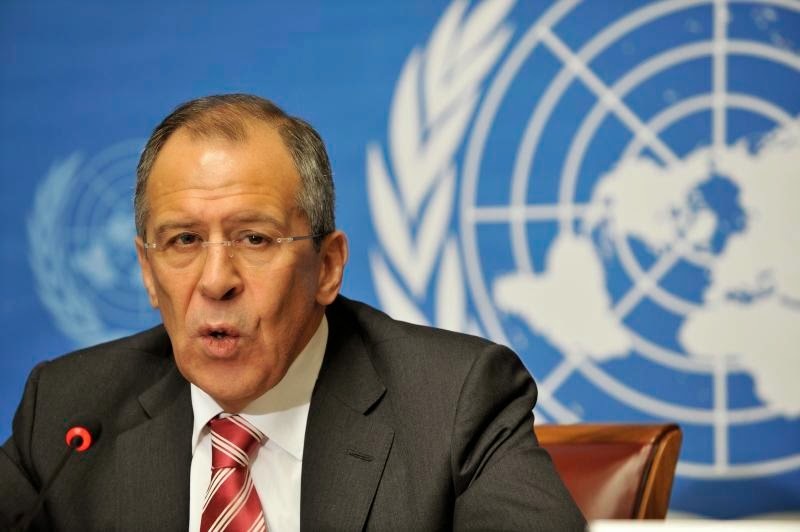 Russian Foreign Minister Sergei Lavrov said the Security Council had become a tool to "rubber stamp" decisions made by Western countries. He accused the United States of "unsavory methods," including what he called "the unconstitutional state coup in Ukraine a year ago." Lavrov also cited Western interventions in Syria, Libya, and Iraq as violations of the UN Charter. U.S. Ambassador to the United Nations Samantha Power suggested Moscow's call for greater respect for nations' sovereignty and territorial integrity was hypocritical. "Russia today is training, arming, supporting, and fighting alongside separatists who have brutally seized Ukrainian territory, a blatant violation of the UN Charter and an assault on its neighbor's sovereignty," she said. Ukrainian Foreign Minister Pavlo Klimkin said Russia had "unleashed a hybrid war" on his country and added that Kyiv might request a UN peacekeeping mission to help maintain a truce in eastern Ukraine. "It is horrifying that these flagrant violations have been committed by a permanent member of the United Nations Security Council that bears a special responsibility for maintaining international peace and security," Klimkin said. Lithuanian Foreign Minister Linas Linkevicius accused Moscow of trying to redraw Europe's borders by violence and force. "From eastern Ukraine to Moldova's Transdniester, to Georgia's Abkhazia and South Ossetia regions, a pattern exists of Russia's interference in the sovereign affairs of neighboring states," he said. "For a year now, Ukraine has been under attack by Russian commandos and mercenaries." China's Foreign Minister Wang Yi said "antiquated thinking, such as the Cold War mentality and zero-sum games, should have long been thrown into the trash bin of history." China had organized the ministerial meeting of the UN Security Council to assess the operation of the United Nations as it nears its 70th anniversary.